When it comes to claiming expenses, sole traders miss out a lot. Many sole traders admit they aren’t sure how expenses work, or how to claim expenses. (Click here to find out.) It’s no wonder that 3 in 4 sole traders fail to claim all of their expenses, and 20% either claim less than half or none at all. Common reasons given for not claiming include “administrative hassle” and “thinking they weren’t worth claiming” 60% of expenses are under £20, and these add up over the year. They’re definitely worth claiming. 2017/2018 tax year ends 5th April. What do I need to do? Even though you don’t need to pay your tax return yet, there are plenty of reasons that you should get ready now. You’ll know exactly how much tax you need to pay months before you pay it. By doing it ahead of time, you can easily fix any mistakes, or chase things that need chasing. If your tax bill seems a bit high, you still have time to get it down. 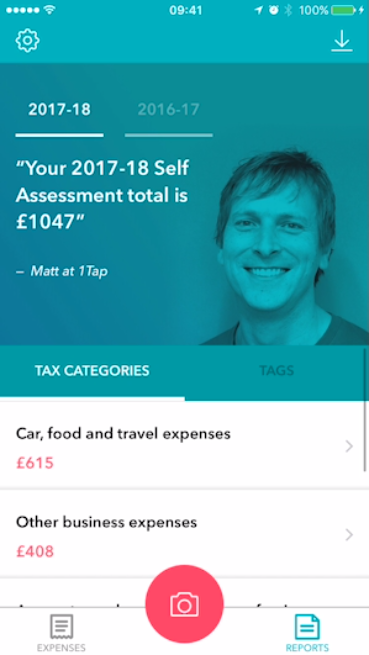 By using our 1tap tax app you will know your tax liability in seconds. 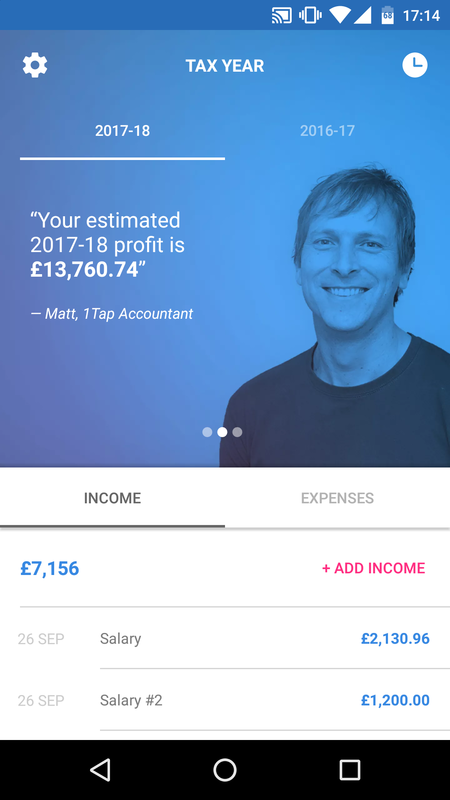 All you do is take a photo, of your expenses and income, and the app will automatically estimate your tax liability. If you’re new to us you can try it out for free. If you’re already using 1tap receipts and have a subscription, 1tap tax is included. Seems a little high? Luckily you’ve got some time to get it down. The first step is to add all of the little expenses that you might have forgotten about. Transport is a good one to start with. Snap up pictures of any train or bus tickets that you’ve used to travel for business. Stationary is another thing that many sole traders miss. Pens, paper, post-it notes. Snap all your receipts and see how your tax liability drop. You can check HMRC’s guide to expenses if you’re self-employed by clicking here. The next step is to look for any lost receipts. It’s a lot less stressful doing it now, rather than doing it just before the payment deadline. Check old bags, wallets, your car, anywhere you might store them, and remember how much easier it is to snap receipts as you go with the app. Finally now might be the time to consider any purchases you need to make. While there’s no point in buying things you don’t need, if you’ve been thinking of purchasing a new computer, a printer, or just a new pen. Get them now, and you’ll be able to reduce your tax liability.